After each of my recent visits to the Fort Tilden hawkwatch platform I have paid a visit to the very busy butterfly bush near the community garden there. 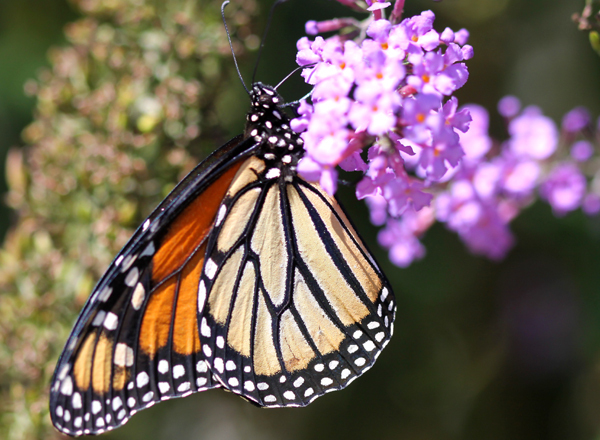 The species breakdown tends to be like that at Floyd Bennett Field, but because there is only one butterfly bush the butterflies are much more concentrated. Recent reports of what had been seen there from the New York City Butterfly Club did give me hope of finding and identifying some butterflies that I had not seen previously, so, despite my near total lack of butterfly knowledge I felt prepared each and every time I approached the butterfly bush. 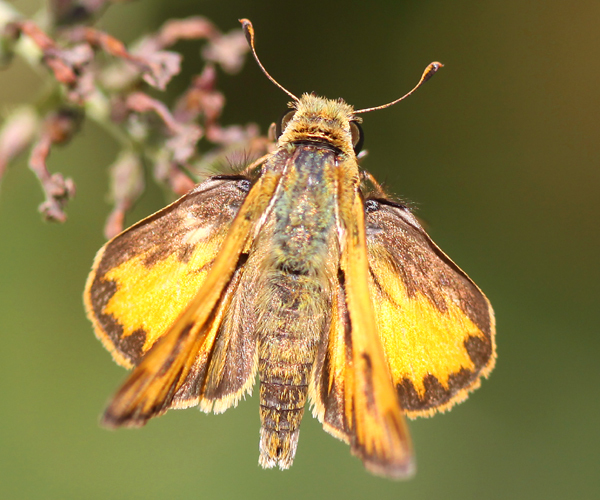 One of the butterflies I hoped to see and identify for the first time was Fiery Skipper, a little, brightly-colored (for a skipper) creature that rarely survives harsh northern winters and is forced to recolonize the northern edges of its range each and every year. Success! That is a pretty cool skipper. Its coolness quotient, however, is only marginally above that of a butterfly more common in New York, the Question Mark, a butterfly that has a name that needs no explanation provided the aspiring lepidopterist has seen its underside. 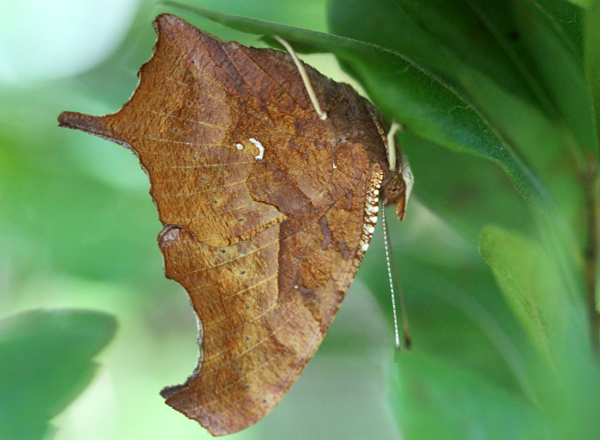 I came across a cooperative representative of Polygonia interrogationis on my way from the hawkwatch platform to the butterfly bush. 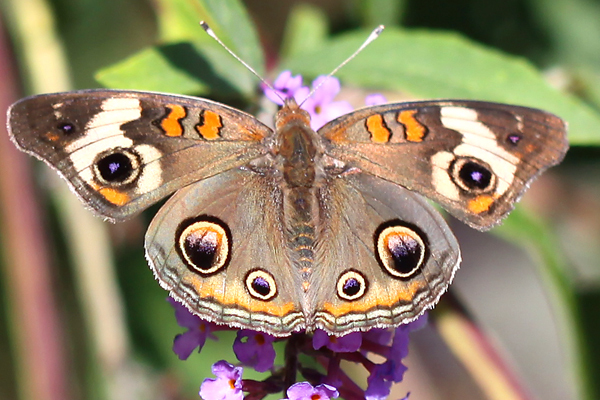 Needing no introduction are the Monarch, Common Buckeye, and Sachem, all butterflies shared in my last butterfly post from Floyd Bennett Field. 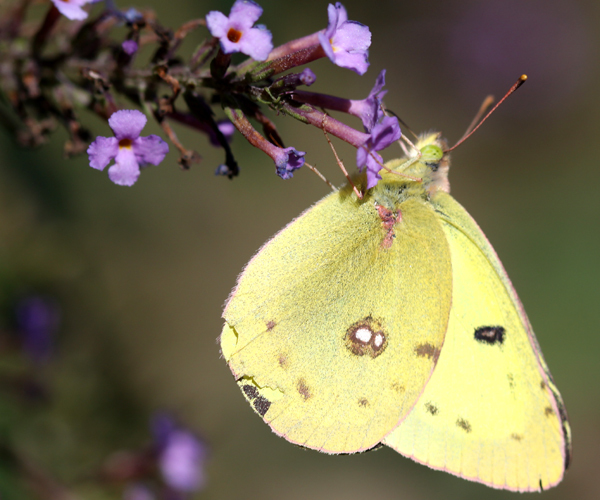 Finally, though I was hoping to find the better-in-New York Cloudless Sulpher Phoebis sennae I eventually settled for the much more common Clouded Sulpher Colias philodice. That is, I think I did, but I wouldn’t be surprised to learn that I screwed this identification up and have images of some other sulpher here. Please feel free to let me know for sure either way. Whatever butterflies I am finding and photographing I find it fun and educational. Hopefully, you feel the same way about my butterfly posts! 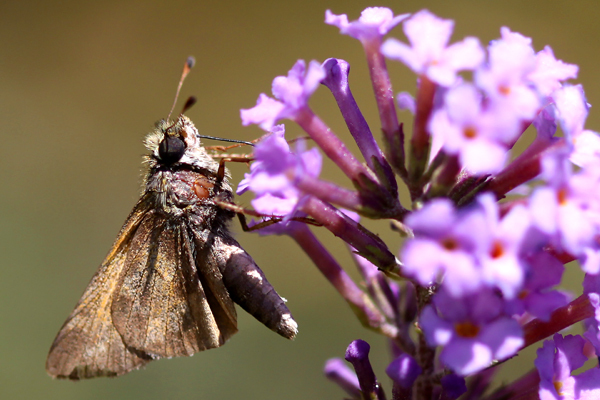 Monarchs seem so common to me now, especially compared to the Fiery Skipper! Oh, what a thing of unbelievable splendor! Thanks, Corey! I love the butterflies and think even a bunch of bugs might be quite interesting. Maybe even a leaf page. That ought to keep you busy until they fly. Anglewings never lose their coolness in my eyes. Nice photo of the underside! @Nature Girl, April: You’re welcome. @Donna: I was pretty happy with it. Now I have a top-side pic of a Comma and an underside pic of a Question Mark. Where Are You Birding This Third Weekend of October 2010?